Understand the digital world that surrounds us. Now more than ever, media surrounds, enhances, and affects our everyday experiences. Navigating the converged worlds of text, audio, and visual media – and understanding how they fit together – can be challenging. Media & Culture recognizes these challenges, and makes the media industries accessible, in print and online. The new edition reflects the latest and most relevant changes to the digital media world, from multi-platform television to streaming music to shifting economics to social change. We’ve merged the print book with our digital capabilities by offering a series of interactive timelines, which will allow you to compare particular areas of media and culture against each other and the larger cultural landscape, and thought-provoking videos through our LaunchPad platform. With these exciting additions, Media & Culture brings together industry expertise, media history, and current trends for an engaging, exhilarating look at the media right now. Richard Campbell,Founder and former Chair of the Department of Media, Journalism and Film at Miami University, is the author of “6 Minutes” and the News: A Mythology for Middle America (1991) and coauthor of Cracked Coverage: Television News, the Anti-Cocaine Crusade, and the Reagan Legacy (1994). 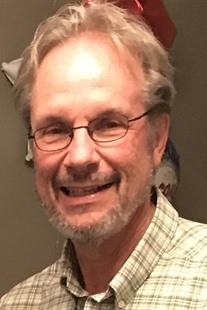 Campbell has written for numerous publications, including Columbia Journalism Review, Journal of Communication, and Media Studies Journal, and he is on the editorial boards of Critical Studies in Mass Communication and Television Quarterly. He also serves on the board of directors for Cincinnati Public Radio. He holds a Ph.D. from Northwestern University and has also taught at the University of Wisconsin—Milwaukee, Mount Mary College, the University of Michigan, and Middle Tennessee State University. Christopher R. Martin is a professor of communication studies and digital journalism at the University of Northern Iowa and author of the forthcoming The Invisible Worker: How the News Media Lost Sight of the American Working Class (Cornell University Press) and Framed! Labor and the Corporate Media (Cornell University Press). He has written articles and reviews on journalism, televised sports, the Internet, and labor for several publications, including Communication Research, Journal of Communication, Journal of Communication Inquiry, Labor Studies Journal, Culture, Sport, and Society, and Perspectives on Politics. He is also on the editorial board of the Journal of Communication Inquiry. 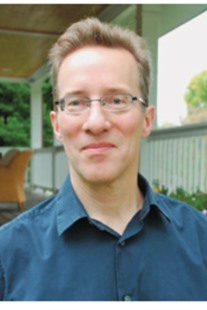 Martin holds a Ph.D. from the University of Michigan and has also taught at Miami University. 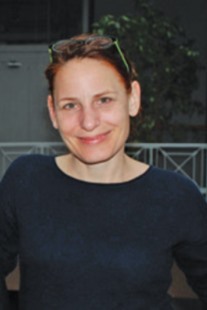 Bettina Fabos, is a professor of visual communication and interactive digital studies at the University of Northern Iowa. She is the executive producer of the interactive web photo history, Proud and Torn: A Visual Memoir of Hungarian History (proudandtorn.com), the co-founder of a public archive of Iowa family snapshots, “Fortepan Iowa” (fortepan.us), and a champion of the Creative Commons. 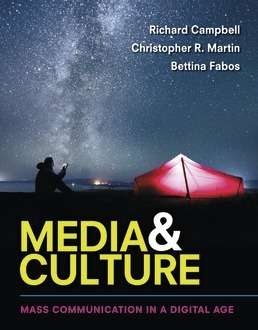 Fabos has also written extensively about critical media literacy, Internet commercialization, the role of the Internet in education, and media representations of popular culture. Her work has been published in Visual Communication Quarterly, Library Trends, Review of Educational Research, and Harvard Educational Review. Fabos has also taught at Miami University and has a Ph.D. from the University of Iowa. Getting students closer to the media in their lives.